February 19, 2018 This post may contain affiliate links. If there’s a jar of pasta sauce in the pantry then you are already half way to getting a meal on the table. 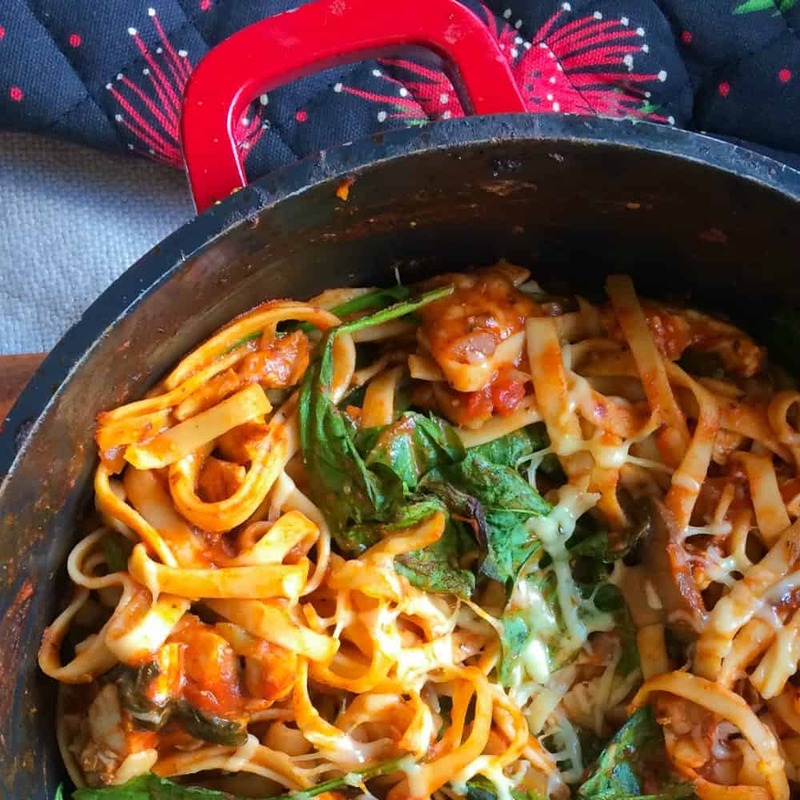 So today I’m sharing 12 delicious family friendly recipes with you that all have one humble ingredient in common – a jar of pasta sauce. We all have busy days, crazy days, just can’t get it together days and well, days that we simply don’t feel like cooking. When I have days like these (and they come up more than I would like to admit), I try and stick to meals that I can shove in the crock-pot or pop in the oven. The kind of meals that take a couple minutes of prep and then I can walk away whilst they cook. Having a jar of pasta sauce in the pantry means that half the job is done for me. It’s one of the things that I buy rather than make from scratch simply because it’s easier. There are a ton of good quality pasta sauces on the market and I can stock up on jars rather than bottling myself. It saves a lot of time and effort. Sure, homemade pasta sauce is great and easy to make, but buying it ready to go is easy, affordable and super convenient for a busy family. Which Pasta Sauce Should you Buy? I’m not stuck on a particular brand but most supermarkets stock organic, clean pasta sauces. It may just take a little investigation to figure out which one to choose. 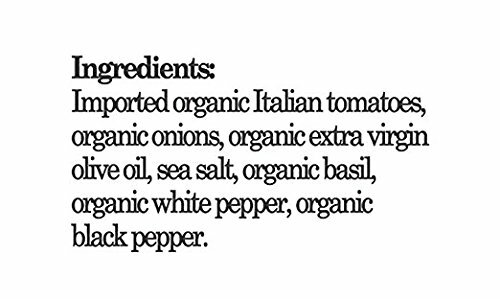 Read through the ingredients list and make sure it’s made with real tomatoes, onions, garlic and herbs like this one below from Organica. 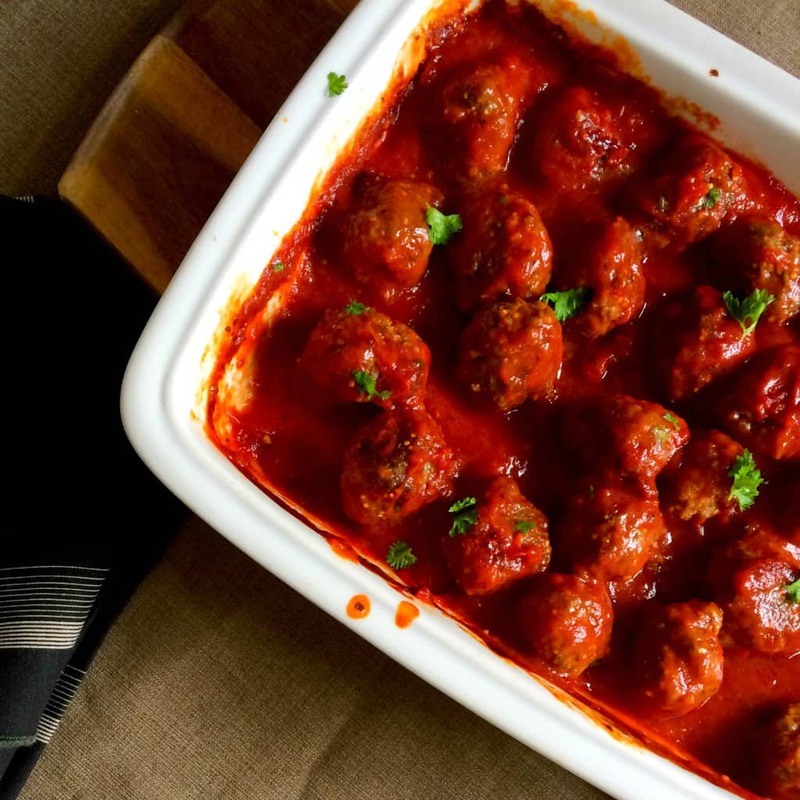 I have a super clever meatball making hack if you are interested? Of course you are! To save time making meatballs from scratch, you can get good quality sausages from your butcher. Squeeze the sausage meat from the casing and make into small meatballs. Fry lightly, pour over pasta sauce and bake for 25 – 30 minutes. Or get the full meatball recipe here. 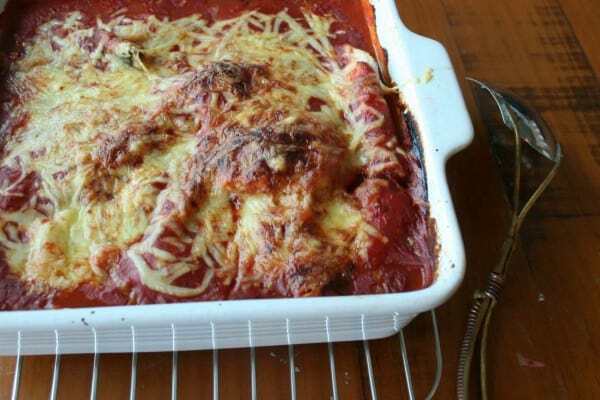 We make a cheats Chicken Parmigiana at our place. Chicken pieces are lightly grilled then topped with pasta sauce, black olives and mushrooms. Pour over two jars of pasta sauce, top with grated cheese and bake at 350’F / 180’C for 20 – 25 minutes until chicken is cooked through. 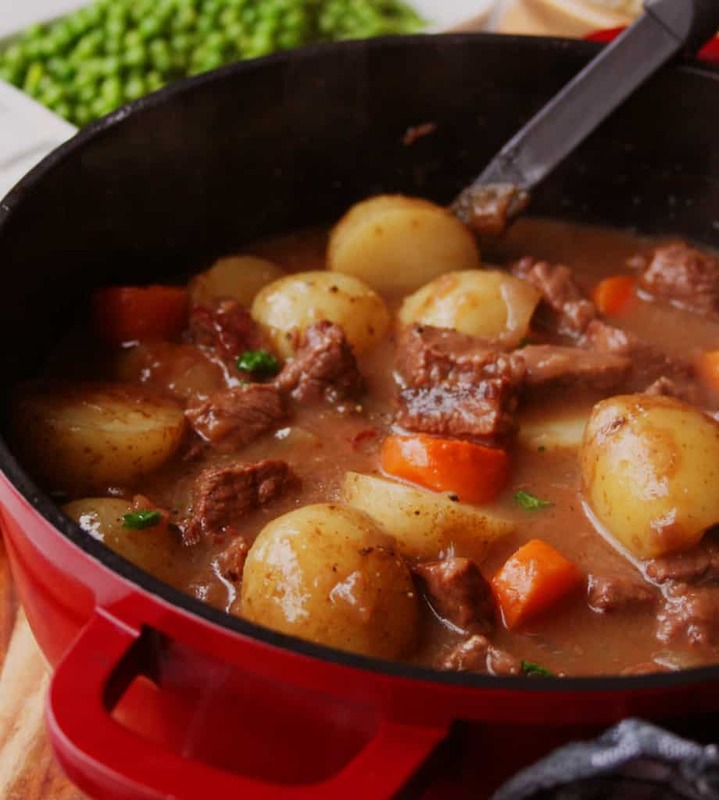 A Hearty Beef Stew is a fantastic family meal made from only a few easy to source ingredients. Replace the Tomato Paste with 2 Cups of Pasta Sauce. 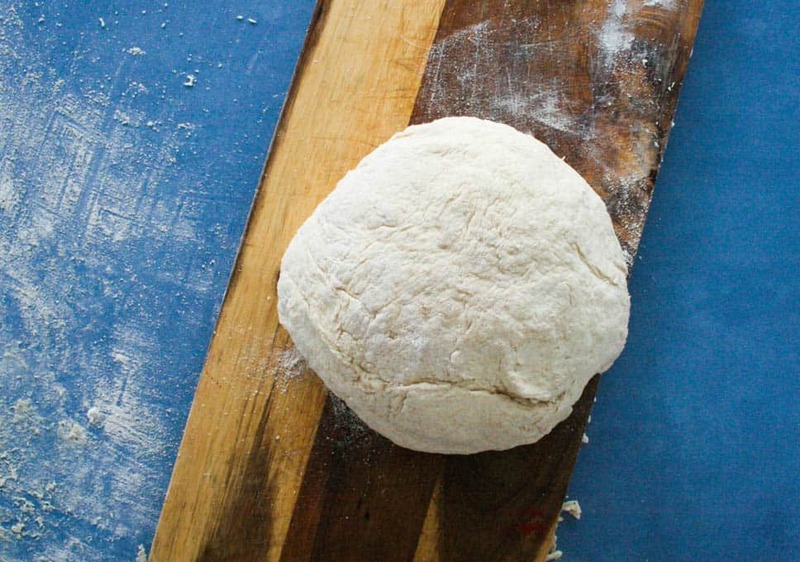 Prepare pizza dough (the easiest option is to use wholewheat tortillas or my two ingredient pizza dough. Spread pasta sauce over the base, sprinkle with cheese and add your toppings: Here are a few ideas – shredded chicken, mushrooms, pickles, pineapple, ham, red pepper, spinach, onion, feta cheese, jalapenos. Mix breadcrumbs, chopped mushroom stems and grated Parmesan cheese with a bit of pasta sauce; stuff into mushroom caps, drizzle with olive oil and bake at 400 degrees F for 30 minutes. This Recipe from Poet in the Kitchen is amazing. And Easy. And made with a jar of pasta. What more could you want? 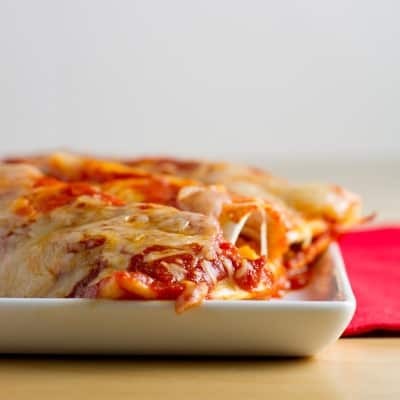 Spread some pasta sauce on a wholewheat tortilla; top with grated mozzarella cheese, sliced mushrooms and shredded chicken; fold in half and pan-fry until golden. Flip to cook the other side. A Fantastic, family friendly curry that mild enough for all ages but still has that ‘curry’ kind of feel to it. Serve on a bed of rice with a tomato and cucumber salad (which is made by dicing ripe tomatoes and cucumber and adding a squeeze of lemon juice). 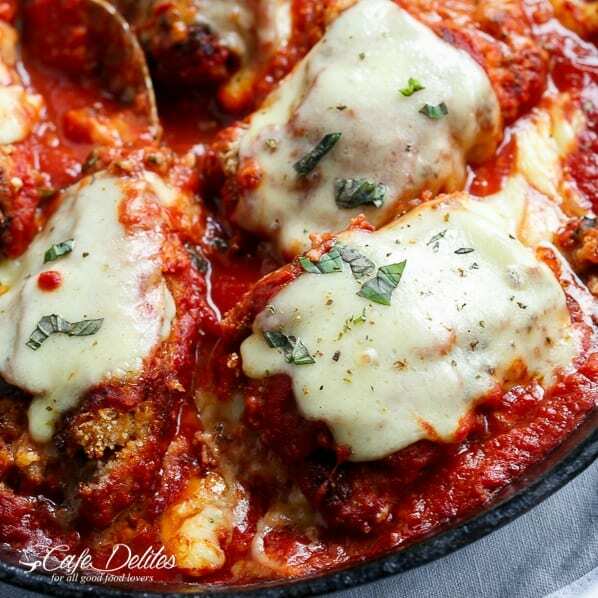 Chicken Thighs stuffed with mozzarella slices and pasta sauce, wrapped and rolled in bread crumbs. Gently fried until golden and topped with the remaining pasta sauce and a little more cheese. OMG!! This looks GOOD! Get the full recipe here from Cafe Delights. 14. 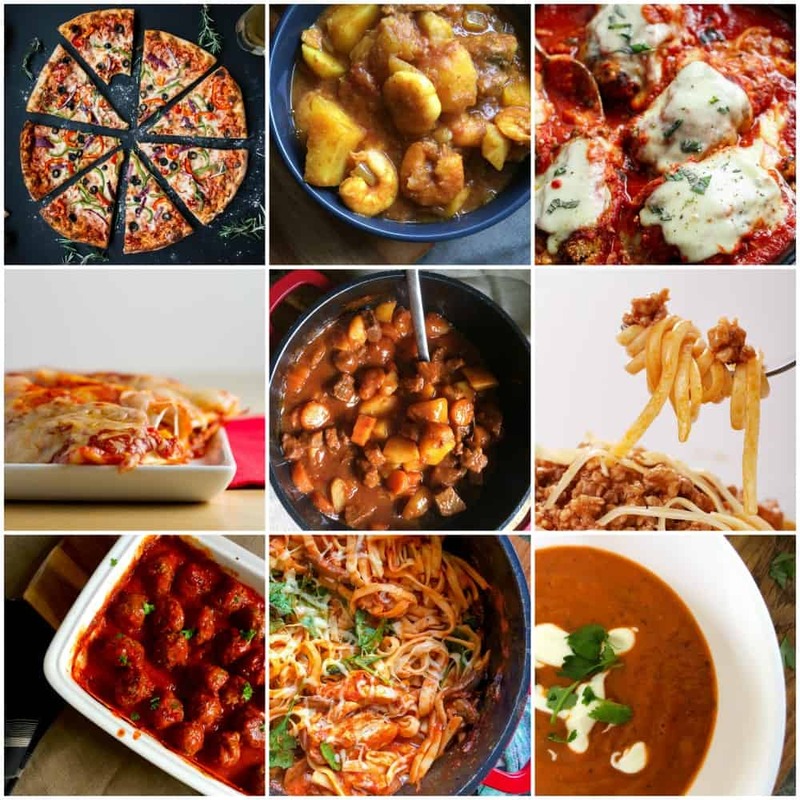 Finally … And I couldn’t write this list without adding this recipe…. Spaghetti Bolognaise. A Classic weekly favorite that everyone loves every single time I serve it. Which might not be as often now since I have 13 other Pasta Sauce Recipes to fall back on. Do you have a favorite family recipe that uses a Jar of Pasta Sauce as an ingredient? I would love to hear about it!